How did you start your day? 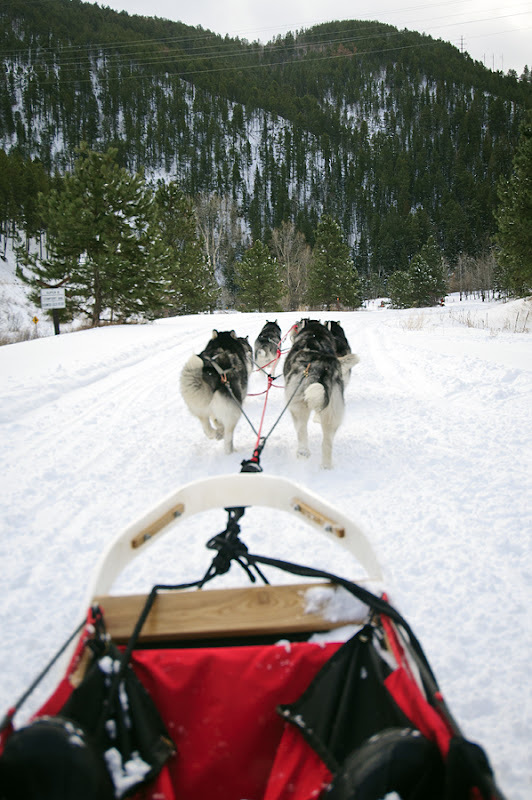 I jumped on a dog sled for a brisk ride on the Mickelson Trail as part of the Lead-Deadwood Winterfest Snowbash. If you want your chance, free sled rides are available this afternoon from 3 to 4 pm and again tomorrow at 9 am-1 pm and 3-5 pm at the Kirk Trailhead on the Mickelson Trail just south of Lead. Extreme Snocross racing at the Days of '76 Rodeo Grounds, tube racing at Ski Mystic, a Parade of Lights, fireworks, a community snowball fight and lots more are planned for the rest of the weekend. Full details are at the Winterfest Snowbash website.